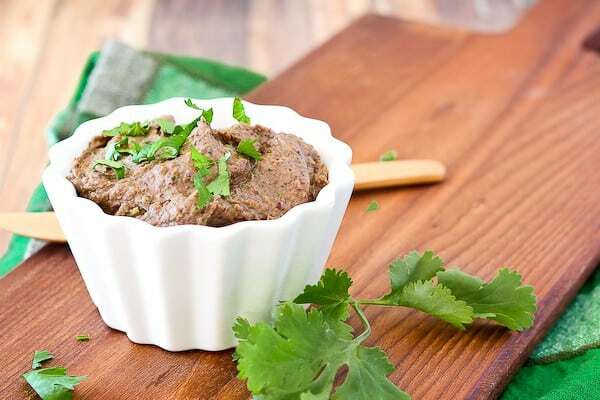 This Black Bean Dip Recipe also makes a great sandwich spread – it comes together in seconds and is subtly spicy thanks to taco seasoning and unbelievably creamy thanks to avocado. Lately I’ve been seeing the numbers on the scale gradually creep up…up…up. I can always tell when I have small fluctuations in my weight and it affects my attitude, energy levels, and ambition. I wish it didn’t, but it does. When I am eating more healthy foods, working out more, and have a slimmer body shape, I’m happier. I just am. Weight and physique may not have that same effect on everyone but for me, it’s very important in many ways. I’ve been somewhat sorta kinda dieting. I don’t really like the word diet, but I’ve been watching what I eat. I know the 21 Day Fix is really popular right now and when a friend (she’s actually my husband’s cousin’s wife but she’s crazy cool and friend is easier to say than all that other stuff) mentioned she was using the cookbook and container method and having great success with it, I decided to give it a try. Upon receiving the cookbook, I realized it’s very much the way we eat already but with a focus on portion sizes and even fewer carbs and sugar. I’ve been really happy with the results. I haven’t had any dramatic weight loss at this point, but I do feel better about the food I’m putting into my body. We’ve had a couple indulgent weekends so I’ve been gaining back what I lose but all in all, it has made me regain awareness of portions and quantity of fruits and vegetables I should be eating each day. It’s so easy to get off track. One of the things I’ve been doing is making a bean dip of some sort and keeping it in the fridge with some vegetables cut up. Ben loves to snack on this too and this one in particular makes a killer sandwich spread as well (stay tuned for a collard wrap next week using this black bean spread). All it takes is a few minutes in the food processor and you’ll have this dip made and ready for whatever uses you choose for it. I of course use my homemade taco seasoning but if you opt for a store-bought version, make sure to read the label and purchase one that contains only spices and no additives or preservatives. 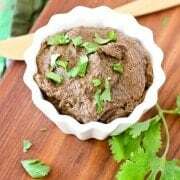 In addition to the taco seasoning, I flavored this black bean dip recipe with cilantro and lime juice for the perfect southwestern touch. Instead of using oil, I used avocado to help make this ultra-creamy and keep with the southwestern theme. PS: I spread this on a whole wheat tortilla, sprinkled it with cheese, folded it in half and threw it in the toaster oven for a quick and easy lunch for my kiddos. E loved it! N dislikes everything so let’s not talk about him. 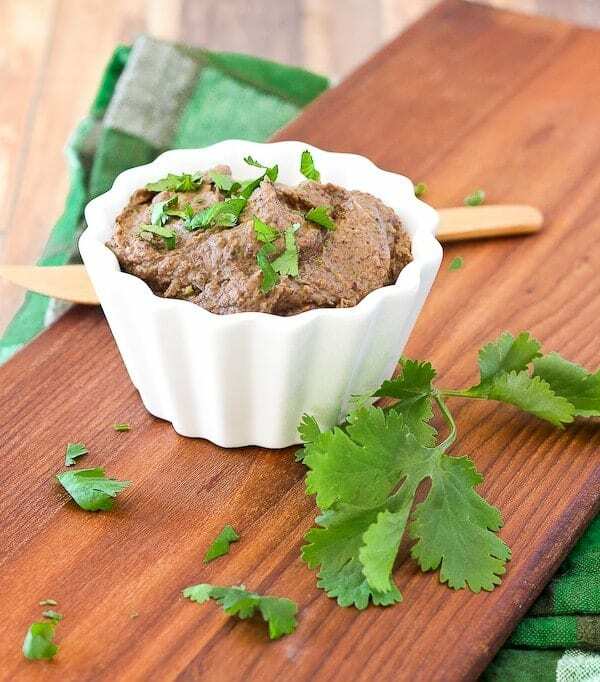 This Black Bean Dip Recipe makes a great sandwich spread – comes together in seconds, flavored by taco seasoning and unbelievably creamy thanks to avocado. Add water as needed to achieve desired consistency. Store in an airtight container in fridge and enjoy with vegetables, chips or as a sandwich spread. 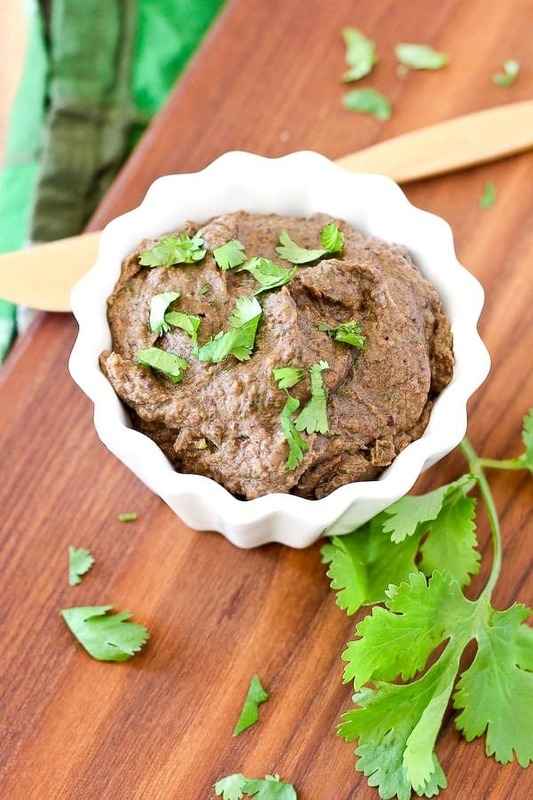 Verdict: Loved the flavors of this black bean dip recipe. I’ll definitely be making this one frequently. Husband’s take: Ben loves this even more than I do! Actual nutrition may vary depending on how recipe is prepared. 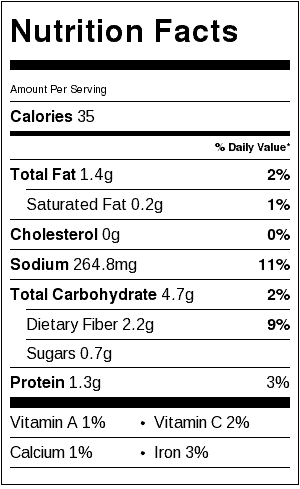 Nutrition info is for dip/sandwich spread only. 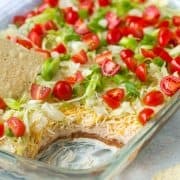 Healthy Southwestern Black Bean Dip (similar to this one but super creamy thanks to a secret ingredient! Looks yummy…..how long does it keep in the fridge? Sounds great, just worried I’d be the only one to eat it. You literally put all of my favorite things in one bowl! 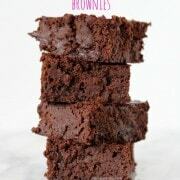 We eat black beans all the time so this is another great way to use them. Looks yummy! I made something SO similar to this for the game Sunday. Such a great idea to use for a sandwich spread!! This dip is great to eat with bread or tortilla. 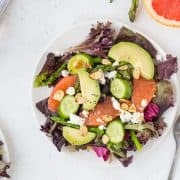 Easy to make and healthy. Many people still eat to much meat and too little legumes. Thanks for this recipe ! It’s spicy and good for me. But do you have an idea what kind of herbs and seasoning can a use to make it good for a child? My five year old loved this – it’s not too spicy. But you could reduce the taco seasoning to fit your taste.